Hi scrappy friends! I hope you’re having a wonderful weekend!! 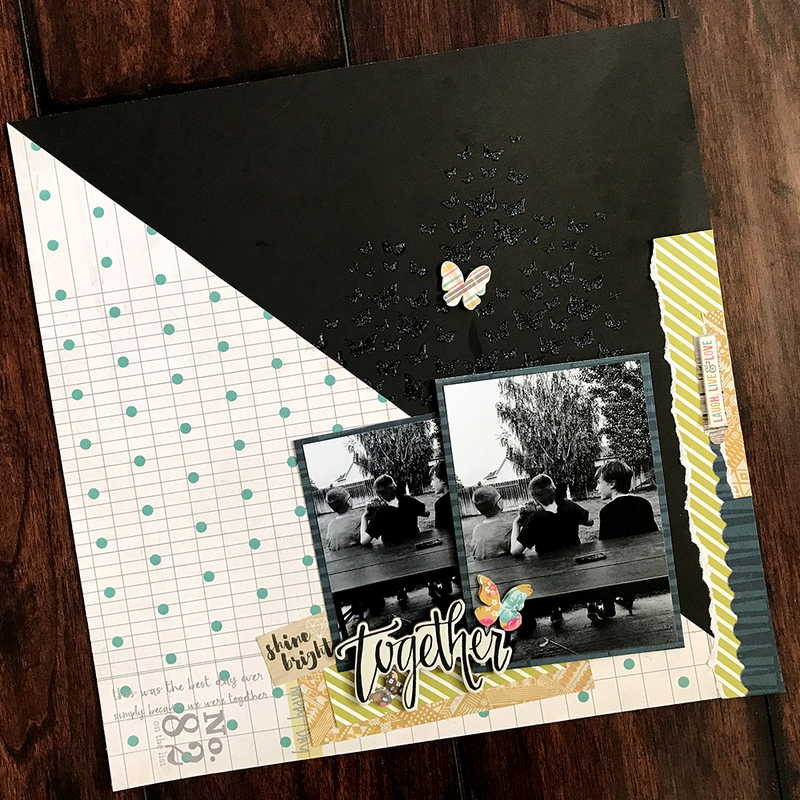 I posted a new layout up on YouTube on Friday and it’s a fun new series I am doing with a new YouTube friend, Daisy. Make sure you head on over to her channel to watch her video! I love how it turned out! 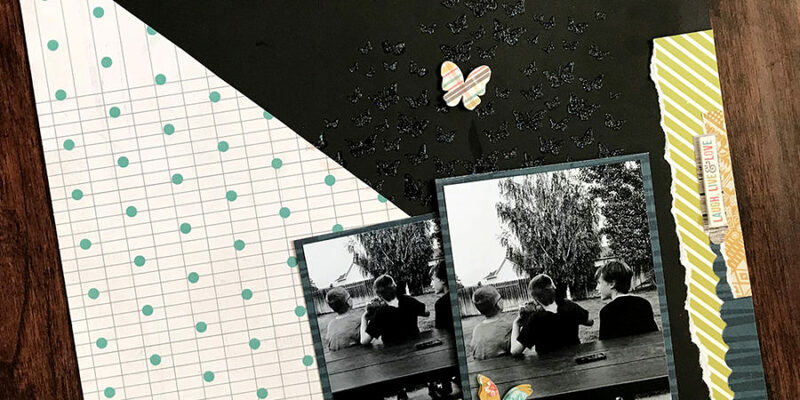 I love the pretty butterflies and that is where I took my biggest inspiration from. This is how my layout came out. I am so in love with it! 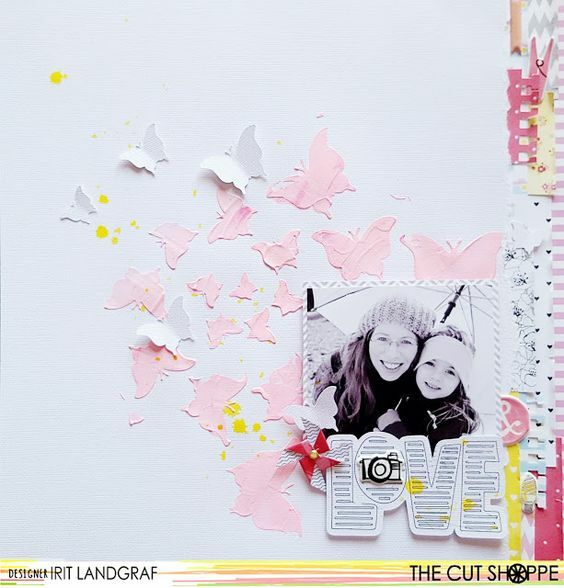 I didn’t completely copy Irit’s layout and that is usually what I do when I scraplift. 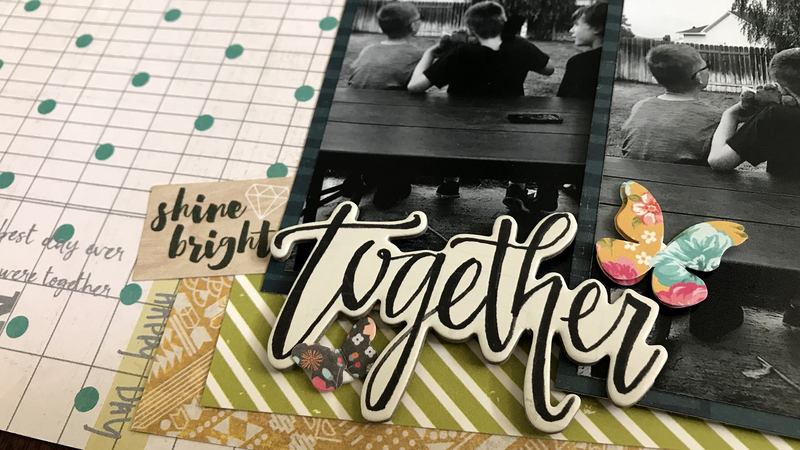 I had this cute ‘together’ word chipboard piece that I wanted to use as the title. I also really love these cute butterflies so I added them as well. 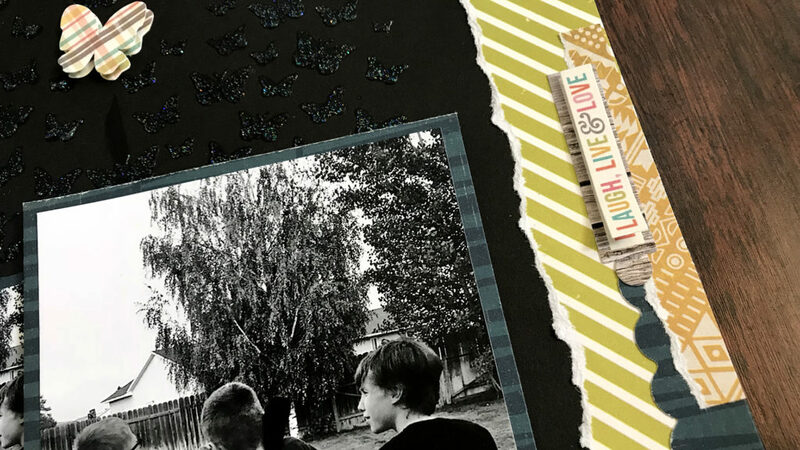 I added a few scraps of papers to the right of the photos and a cute sticker embellishment.